You CAN indulge a little with these sweet diabetic brownies recipes that won’t compromise your sugar levels or health! Sometimes, all you need to feel better after a long day is a little indulgence. If you have a sweet tooth, imagine being able to succumb to your chocolate cravings without having to worry about your sugar levels rising afterwards. These diabetic brownies recipes are all the hype, because they provide that much needed sweetness without further compromise. If you live with diabetes your whole eating system changes in order to be able to take care of your health and wellbeing. After all, having stable sugar levels allow you to maintain a good lifestyle, stay on track, spend time with your loved ones and even have fun without being concerned all the time. And if you are handy in the kitchen, these diabetic brownies recipes will not only be a delight to make, but they will actually be of the likes of your loved ones, because they are rich, moist and simple decadent – to say the least. 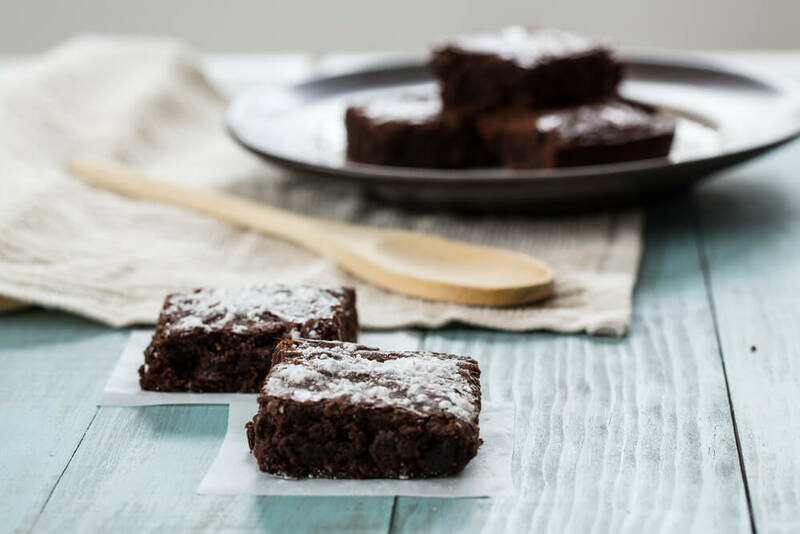 We have rounded some of our favorites, including diabetic brownies with applesauce for an extra kick and a sugar free brownie recipe that can easily become your go-to whenever you have the cravings. Think of these diabetic brownies like a dessert pizza, the crust is made out of fudge-like brownies, followed by a delicious cream and topped with raspberries and almonds. Heaven! Chocolate fans will be thrilled with this recipe! Because these are super packed with flavor, a short simple list of ingredients as the base and just done in less than 30 minutes. Imagine a the taste of a banana split with chocolate ice-cream, but without all the fake sugar. And the great thing about this recipe ? It can either be baked like a traditional brownie or cooked on a skillet for a crunchier finish. This sugar free brownie recipe may sound strange, but trust us, you will be more than pleased. Coconut flour and almonds add the perfect balance of taste and crunch you favor. Just when you thought things couldn’t get better, layers and layers of delicious taste make up this recipe. With a crust made out of oatmeal and a crunchy, nutty top, these will be amongst your favorites. Rich, flavorful and super low carb ? Yes, please! These brownies meet your expectations and much more. Almond meal makes the perfect, fudgy base without compromising your carb intake. Yes, these are a thing. And you will love them. They are more cake-like in texture than gooey, but they will be the unexpected winners with their awesome taste and the ability to add anything to the mix, from nuts to berries. The cupcake shape of these brownies may have you taking a second look, but the taste will surely have you wanting more. With an orange spiced filling these are truly a delicious masterpiece. For the sweet and salty lovers, this amazing combo makes these brownies a show-stopper in your kitchen. An unbeatable duo that is also low carb but still packed with flavor? You’ll need to make these often. These are just too cute to pass and simply amazing. Packed with protein and presented in an irresistible way, they are also helpful in the portion control area. But the taste ? Everyone will keep wanting more! For a simple craving or maybe a little afternoon pick-me-up, these brownie cookies will satisfy the sweet craving while being a super low-carb AND low-fat option. An added bonus? You can store them like a regular cookie for later. We guarantee that you won’t be disappointed after trying any of these diabetic brownies recipes. In fact, we honestly believe you’ll keep coming back for more!